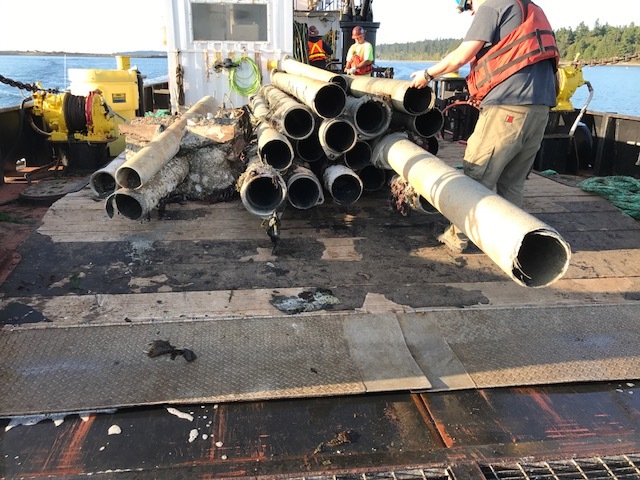 Port Gamble Outfall Removal - Global Diving & Salvage, Inc. 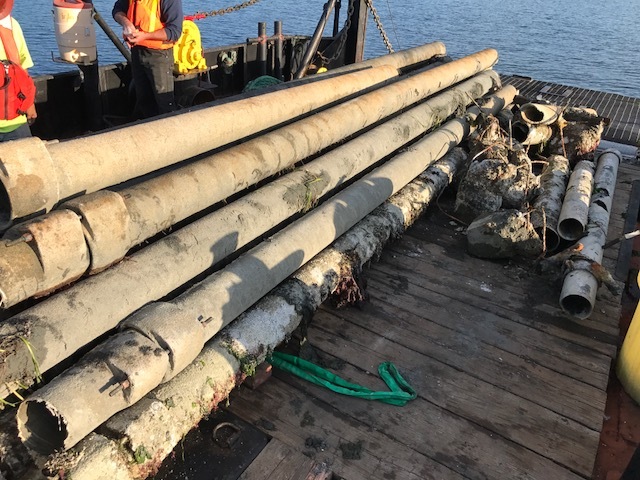 Global was awarded a project to remove a decommissioned marine outfall in Port Gamble, WA within an intertidal zone and protected eelgrass beds. The team performed a pre-construction survey of the eelgrass beds to ensure work would not disturb the habitat outside the permitted area. Utilizing a deck crane and mini-excavator, the outfall pipeline and diffuser sections were lifted and placed on the deck of Global’s Prudhoe Bay, then transferred to a materials barge anchored offshore for proper disposal. 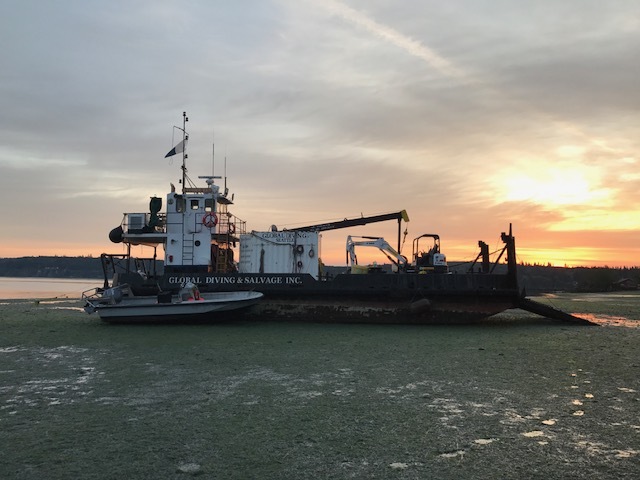 Using the Prudhoe Bay’s ability to act as a landing craft, the vessel was “stranded” on the shallow intertidal zone as the tide went out, allowing the crew to work through tide cycles and accomplish part of the outfall removal in the dry. The complex project was finished on budget and ahead of schedule to the client’s satisfaction.